Today I wanted to share what my boyfriend got for me while he was on holidays in Spain. 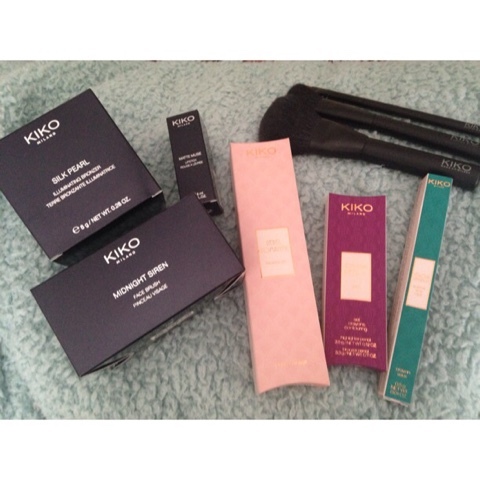 He made the bad decision in telling me there was a Kiko store by him ha ha, but he still went there and bought me all these pretty things. So let me show you what I got. I might as well start with the brushes I got, I got five of them, here are the first three. Below I will add another picture with the numbers of them for anyone interested in buying them (links below as always). I got an eye brush, great for any precise work, like eyeliner, eyebrows, contouring. 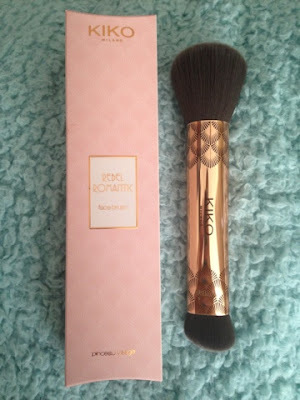 I then got a blush brush and powder brush. What I love about Kiko is that they do great quality makeup at an affordable price. Next brush is from the Rebel Romantic collection, a double ended face brush. The one thing I don't particularly like about these types of brushes is storing them as one ends always gets damaged. This one is so pretty, a lovely rose gold handle. 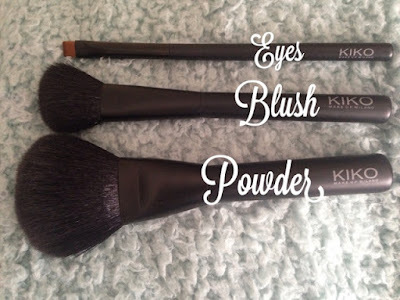 One end great for powder and the other great for contouring and blush. Also it's super soft. 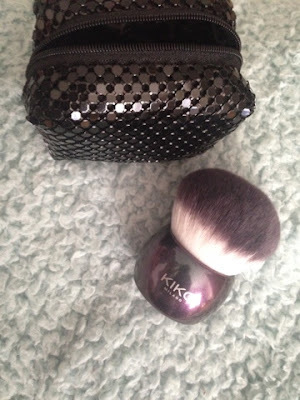 This next brush is from the Midnight Siren collection, a beautiful kabuki brush, with its own bag. 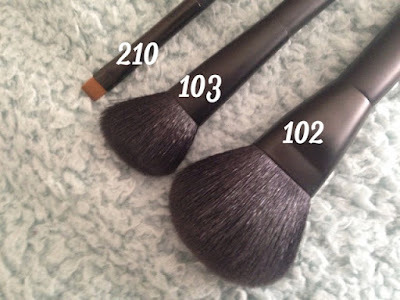 It is super soft, like the other brushes. 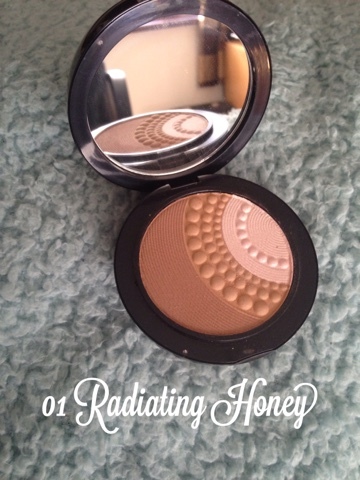 Great for applying bronzer all over the face or powder, also for around your neck. I must say I am a sucker for brushes lately, can't have enough I say. The next product is this illuminating bronzer, again by the Midnight Siren collection. 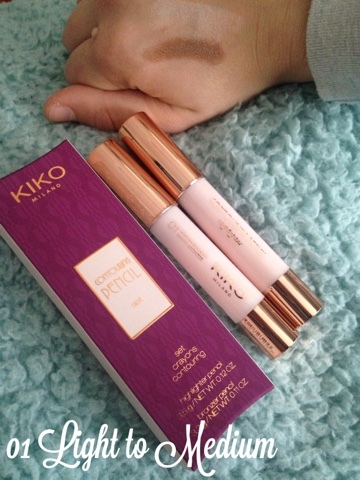 The packaging is to die for, beautiful, pretty big as it occupies a lot of space in my makeup bag, kinda awkward you could say, but a beautiful stand alone piece. Will show you a picture from the website too of it. I got these countering sticks, very popular lately, I also seen the brand smash box come out with their own trio. Very convenient and easy to use, especially if you find it hard to contour your face, this will make it ten times easier. You get a brown colour, to darken parts of your face and add definition and then a light highlight colour to make other parts pop and shine. They are super creamy and highly pigmented, and much cheaper then other brands who have the same pencil sticks contour kits. He got this black classic eyeliner for free as he spent over such an amount, this is also part of the Romantic Rebel collection, was delighted. Not every Kiko store do these types of offers, but we all love a free product. 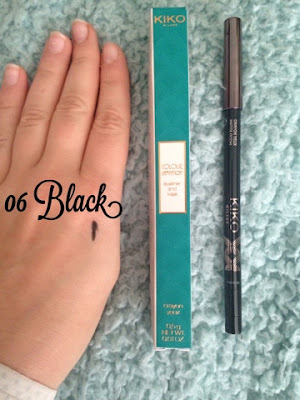 Super pigmented and long lasting. The last product is actually a liquid lipstick, I actually thought it was a nail polish by its packaging. So unusual never seen a lipstick like that before. 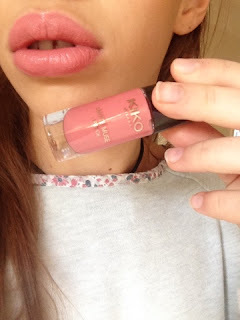 I got a lovely pink colour, goes on super easily, slightly drying on the lips but nevertheless beautiful. 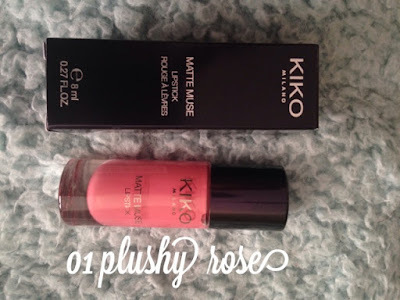 Let me know if you guys have any Kiko products?